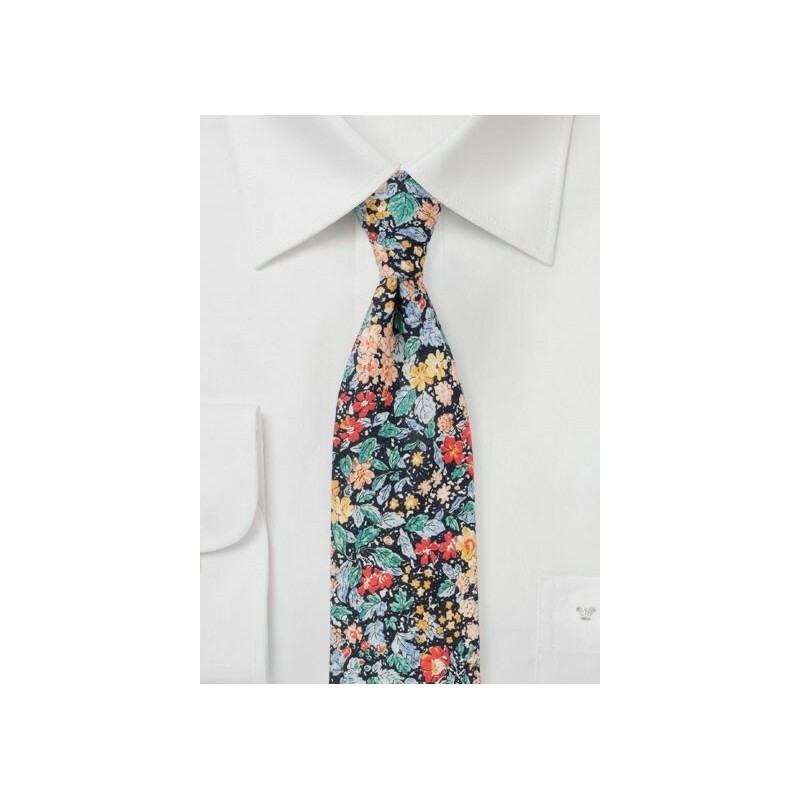 This lively summer floral design stands out not just because of the vibrant colors and lively pattern, but also because of the fine cotton fabric and slimmed down cut measuring 2.75 inches. Because of the wild pattern and color combination, we suggest you wear this tie with a solid colored shirt in navy, light blue, peach, or white. 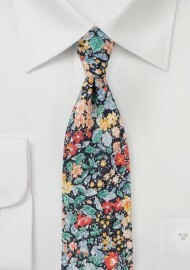 A great summer tie that looks nice with full suit as it does with just a button up shirt, fitted vest, and jeans. Handmade from printed cotton by BlackBird.